Fidget Spinner is a stress-relieving toy that is designed to relieve stress and anxiety. 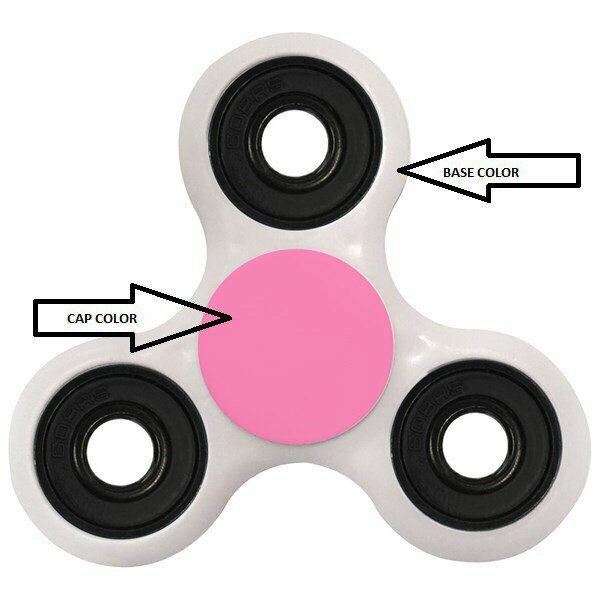 Just hold the fun spinner between your thumbs and middle finger and spin with the other hand, or flick it with your index finger.It is used to keep your mind occupied and your hands busy with these promo fidget spinners. Imprint Area: 0.75 Inch Diameter. NOTE: THE LOGO WILL BE PRINTED IN CENTRE;ON ONE SIDE OF SPINNER ONLY AND IN ONE IMPRINT COLOR. IF YOU NEED EXTRA IMPRINT COLOR OR LOCATION THEN WILL BE CHARGED EXTRA. YOU CAN MENTION IN COMMENT BOX WHICH IMPRINT COLOR YOU WANT ELSE WILL BE PRINTED AS BLACK OR WHITE IF NOTHING SPECIFIED.